"We offer the best German Shepherd Puppies in the world", guaranteed! 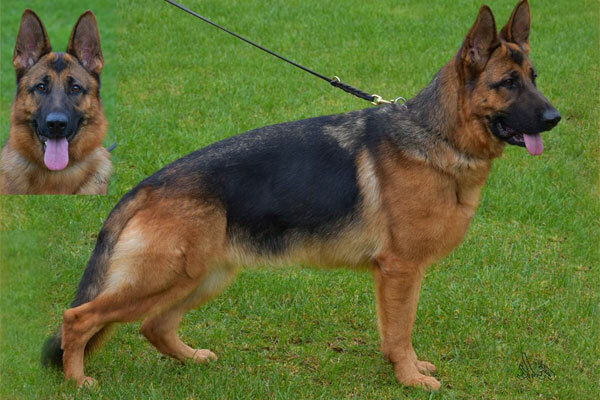 World class German Shepherd puppies health & Temperament Guarantee - We're confident in our puppies for sale "worry free" 5 (five) year, Genetic health and temperament "guarantee". In the event that the guarantee is honored, Gunbil German Shepherds will provide another German Shepherd Dog Puppies of the same quality, age, gender (of choice) and value for FREE. We do not ask that you return the original Dog Puppies to us. Our five year guarantee is for your peace of mind, our commitment to you and your new puppies. For more info puppies for sale, please click here. We have over 470,000 (470K) likes & followers on facebook! With an "A+" rating BBB, over "800 reviews & Recomendations" on Facebook with 4.6 score! Our German shepherd puppies will inherit superior pedigrees, healthy genetics, with superior breed value (Zught), genetically outstanding "proven" health history, with a "clear-in-the-head", sound temperament "world famous Günbil German Shepherd Trademark. The lineage will surely enhance over-all size and type, strength, body structure and pigment with masculinity. 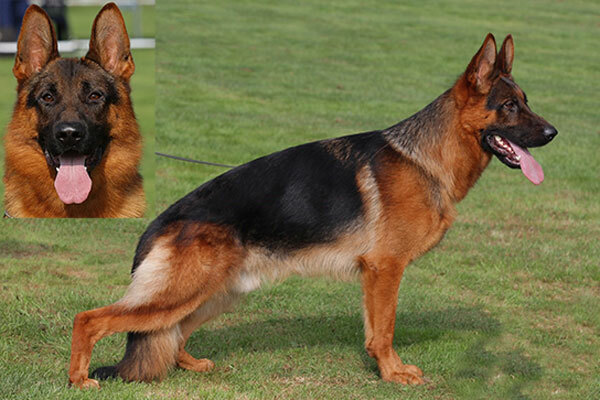 Excellent puppies for show and naturally for protection (family protection) and gorgeous family member and companion. Puppy ZUGHT (ZW) = 81.0 - Excellent! More info on ZW, please click here. Hamilton - (STUD - Mother), A2/A1/88/SG4. Powerful, Strong, Masculine, Thick Structure, Massive BIG Head, Robust Bone Mass, with Large body type, prominent, young STUD male. superior over-all type, BIG, correct and expressive male! Very expressive, male, nicely pigmented, build in very good proportion, substantial, powerful, absolutely clear in the head. We are proud and HONORED to have this magnificent stud in our breeding program in the US!!! The grandson of Three times World Champion, Fulz di Zenevredo and Twice World Champion, VA1 Zamp vom Thermodos. Hamilton is ranked SG4, Fourth in LG04 under judge H. Buß in Germany. Fiene, (DAM - Mother), IPO1/SCHH1/KKL1/SA1/A1/SG3 Wow!!! excellent rated in show, spirited females, confident, courageous with outstanding show type and excellent drive, expressive, nicely pigmented, feminine head, build in correct proportion, substantial, dry and firm, great movement with, ground covering gait, safe in nature, secure temperament, absolutely clear in the head, excellent genetic health from both parents.